We offer personal guidance on a wide range and variety of wood, stains and finishes completely customised and tailored to your needs. We liaise closely with our clients and suppliers to produce floors of all budgets. 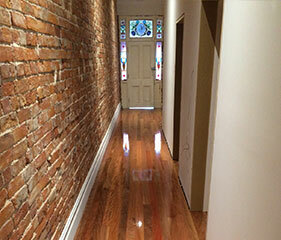 From beautiful wide boards, Australian hardwood varieties and incredible recycled timbers to a simple re-sand of your existing pine floor, be guided by our experienced team to achieve your desired look. 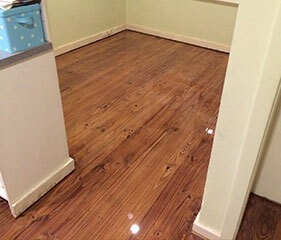 We specialise in the installation of hard wood, parquetry, engineered and floating floors boards. 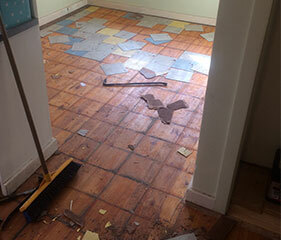 Our experience covers both commercial and domestic work. Fully registered and insured, allow professionals to lay your floor. 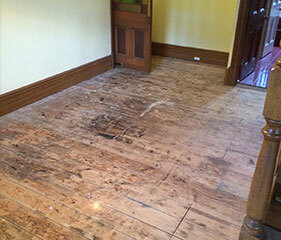 At PJP Timber Flooring we love restoring old existing boards to their former glory. We use modern dust free equipment and all of our finishes are non-toxic. 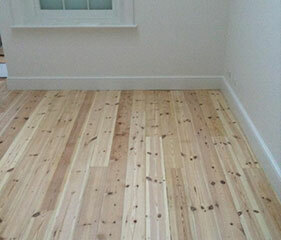 We like our finished floors looking natural and allowing the wood to speak for itself. For this reason we advocate the use of waxes, oils and water based coatings. We are also specialists at staining and whitewashing. 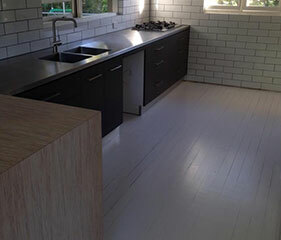 Masonite and vinyl pull up in a kitchen area. Baltic pine boards stained nutmeg colour and finished with Lobo water base coating. 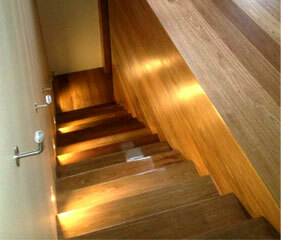 Classic Spotted Gum hard wood floor, stair case and feature wall. Installation, sand and polish and finished with Lobo water base Matt/Satin 2 pac coating for a better wear and tear. Carpet pull up and restoration of 100 year old baltic pine boards. Beautiful Brush Box hardwood timber coated with Treatex matt oil finish. Recycled Baltic timber installed and whitewashed. 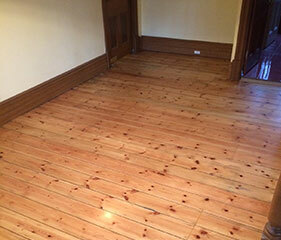 Radiata pine floor boards in Kitchen area. Painted with two coats of white paint and finished with Lobo water base coating.